I need some help with my sail panels. They keep falling off and I noticed that I'm missing something under the sail panels. These are some kind of extensions of the interior quarter trims and they're holding the bottom of the sail panels. 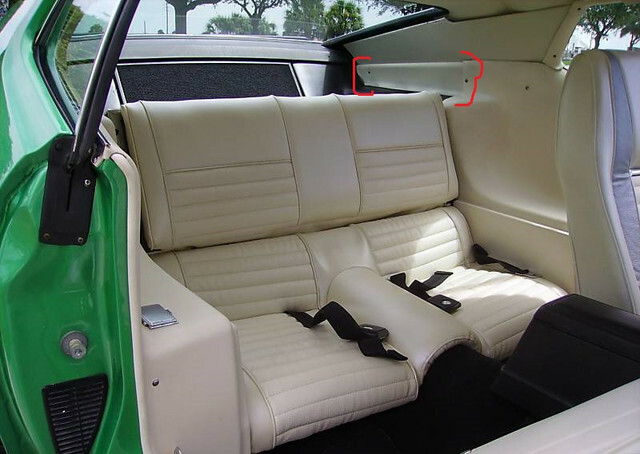 Can anybody tell me what's the name of these trims/parts? Well each of my sail panels has a hole for a screw at the center what holds the panel. To be exact: it won't fell off.It just simply bended that's why I'm looking for that part at the bottom so it would keep the lower edge of the sail panel from bending. My car is at my mechanic now but as soon as I check on him I'll take a pics how mine looks like with the bended sail panel. But there's a pic from another car. I'm looking for the highlighted piece or it's name.